Something that we hear loads about as property managers is finding your point of difference: What makes you stand out from your competitors? What is your major selling point to win new business? Like most people, I used to believe it was the old chestnut of customer service. I really do believe that the customer service from my office is greater than that of my competitors, but clients don't want to hear it. Every agent (and their tenant's undeclared dog) say this to new clients. Without having an established relationship with you, they can't understand the real level of extra service that you provide. As it turns out, I cannot actually tell you what your own unique point of difference is, but I can show you how my office came to find ours and how we make it work for us. The standout difference for my office was our statistics. What a boring and dry point of difference, I hear you cry! Here is the real clincher – you also have to learn how to sell it. If you believe in your difference and how that can help a landlord, they believe you and they buy into your brand. We do have some other points of difference that we use as well, like video inspections, but for today we will talk about our use of statistics. Statistics can be dry. Vacancy rates are just a number right? Wrong! One of my competitors is much larger than my office. Hence they have a much larger rent roll and I am able to use my fabulous vacancy rates to show my landlords that I know my market (the vacancy rate for my office at the end of June was 0 per cent). I can tell new clients that I have rented X number of properties this month, I have Y number becoming available AND I have Z number of tenants looking for a property like yours. Arm yourself with this information – you will be so surprised at what a difference it will make. My competitor often uses their size against me, telling people that bigger is better. I combat this by asking them what their current vacancy is. Why be somewhere that you are constantly competing for to get your property let? With a consistent vacancy rate of less than 2 per cent, we show that this is a real focus for our office, and we know and track how quickly we rent our properties. Next is our arrears statistics. When you know that you are going to be hanging your hat on these numbers, it forces you to concentrate on making them great. 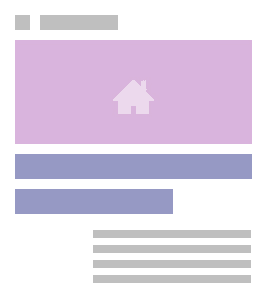 These statistics are a bit easier to use, as all landlords want to know that you are tough on arrears – but when was the last time you gave them numbers? We keep two statistics for this: four to 13 days (currently 0.9 per cent) and 14 days or more (currently 0 per cent). We didn't start out with statistics this good; we have been recording them for nearly two years now and our constant attention on them sees us improve the results all the time. You can bet that your competitors aren't talking about their numbers – so it is really powerful for us to say, 'here are my current arrears, what did my competitor tell you theirs was?' This way we can demonstrate that we mean it when we say that we concentrate on making sure rent is paid on time. We tried some other things that other agencies weren't doing; some of them worked, others didn't. You have to be able to try new things and brave enough to admit when they aren't working. When you find your niche, everything just falls into place. Now that you have your difference, you need to make some scripts around them, so that when you are speaking to people, you know what and how you are going to present yourself. If everyone in the office use the same dialogue, you can be sure that a cohesive front is presented and you are all telling people the same thing. Put these differences into your landlord packs, talk about them, make them what you are about. Devote some time to thinking about your point of difference, brainstorm together and see if the things that you are talking about really matter to your clients, because ultimately that is who you are trying to impress. Find your difference and start to win the business you deserve. Having extensive knowledge about the property market, integrity, commitment, understanding and achieving outstanding results has seen Tina and her husband Rod open the office of Professionals Office in Lithgow. Tina has recently been rewarded for her efforts in the area of property management as she was awarded Property Manager of the Year 2015 for the eastern states and International Property Manager of the Year 2015 by Professionals Group. She was awarded Regional Property Manager of the Year in 2015 at the Real Estate Business Awards. 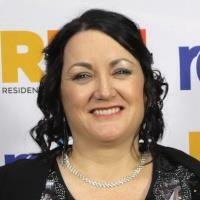 She was also a finalist for Property Manager of the Year 2014 with the Real Estate Institute of Australia. Professionals Lithgow has also won the Property Management Star Award for the east coast in March 2015, December 2014, June 2014, May 2014 and May 2013.